Angela Clemons hasn't added a story. 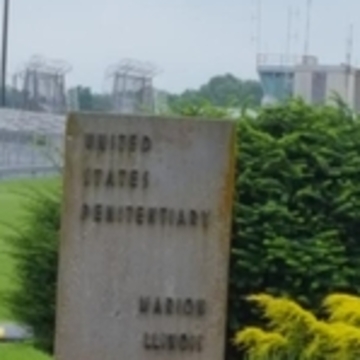 Francis August Schaeffer Cox, aka Schaeffer, is a political prisoner who is being held in the Communication’s Management Unit (CMU) in Terre Haute, IN with a release date of October 26, 2033. He was arrested, tried, and sentenced to 26 years on a vague conspiracy charges. The federal government became interested in Schaeffer when he began giving public speeches which taught liberty and denounced corruption in the government. He was a visionary and a movement leader. He not only identified the problems within the government; he took the initiative to correct these problems. Schaeffer ran for the Alaskan House of Representatives in 2008 and was the Alaskan delegate for the Continental Congress in 2009. He started the 2nd Amendment Task Force, Peacekeepers Militia, and Liberty Bell system in Fairbanks, Alaska. He taught others how to build these community supports in their hometowns across the country. Government officials became concerned and took action to silence Schaeffer. The Federal Bureau of Investigation (FBI) sent in agent provocateurs to spy on Schaeffer and attempt to get him to agree to commit an act of violence for which they could arrest him. Schaeffer never did agree to their plan but he was still sentenced for conspiracy to kill federal agents. They accomplished this by not allowing evidence to be brought before the jury that would have proved him innocent. The court also did not explain to the jury what was required to convict on conspiracy charges. The uninformed jury ruled with a guilty verdict. Schaeffer is in the appeal process. He had his Oral Arguments in Anchorage, Alaska on August 16, 2017. Here is a link to his appeal. On August 29, 2017, the courts AFFIRMED his conspiracy conviction, VACATED his solicitation conviction, VACATED his sentence, and REMAND to the district court for re-sentencing. This is progress, but the war for Schaeffer's freedom still continues. Schaeffer has also called for a re-trial on his remaining weapon charges. He plans to argue "ineffective-assistance-of-counsel" at the time of his trial. He has separate civil cases that he is working on in regards to his case. Additionally, Schaeffer has filed a civil suit again the staff in the CMU for a pattern of retaliatory sanctions that have been placed on him including being placed back in the CMU and loss of email. This is severely affecting his ability to communicate and work on his case. All of the funds donated here will go towards Schaeffer's commissary account and legal fees. Schaeffer uses his commissary account to buy food, clothing, postage, music, and email. The funds are held in an account by Schaeffer's brother. Write to Schaeffer! He has told me that letters in the mail is the best way to keep his spirits up so that he can continue on with his fight. For Twitter updates click here. Angela Clemons hasn't posted any updates yet. Angela Clemons is managing the funds for this campaign. The campaign is for a personal cause.